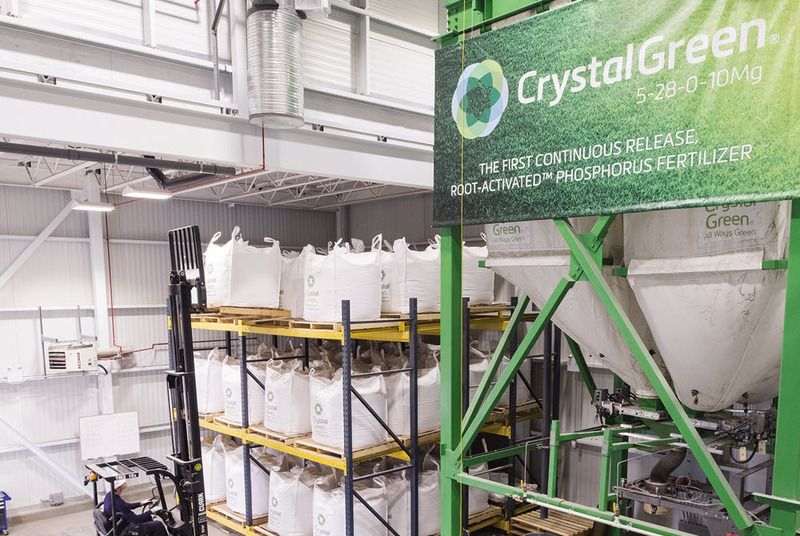 Crystal Green® is the first continuous release granular fertilizer to provide Root-Activated™ phosphorus to feed plants in one season-long application. Unlike conventional phosphate fertilizers, which release nutrients upon watering or irrigation, Crystal Green® releases nutrients in direct response to root demand- when the plant releases organic acids, Crystal Green® releases nutrients. This results in a steady source of phosphorus (along with nitrogen and magnesium) throughout the growing season. 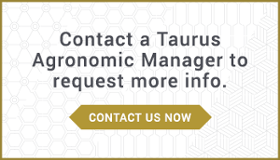 Crystal Green® is sustainably produced by Ostara using nutrient recovery technology that combines phosphorus, nitrogen, and magnesium into pure crystalline granules. Crystal Green® is virtually water insoluble and releases only in response to organic acids produced by growing roots. As the roots produce citrates, Crystal Green® responds with a healthy release of phosphorus, fertilizing plants on demand. As plant demand decreases, nutrient release from Crystal Green® is reduced consequently providing a more consistent feeding of nutrients compared to conventional phosphorus fertilizers. Crystal Green®’s unique mode-of-action increases fertilizer efficiency and minimizes nutrient loss. Studies show an average recommended rate of 25% of the total phosphorus as Crystal Green, with rate variances depending on crop and soil type. 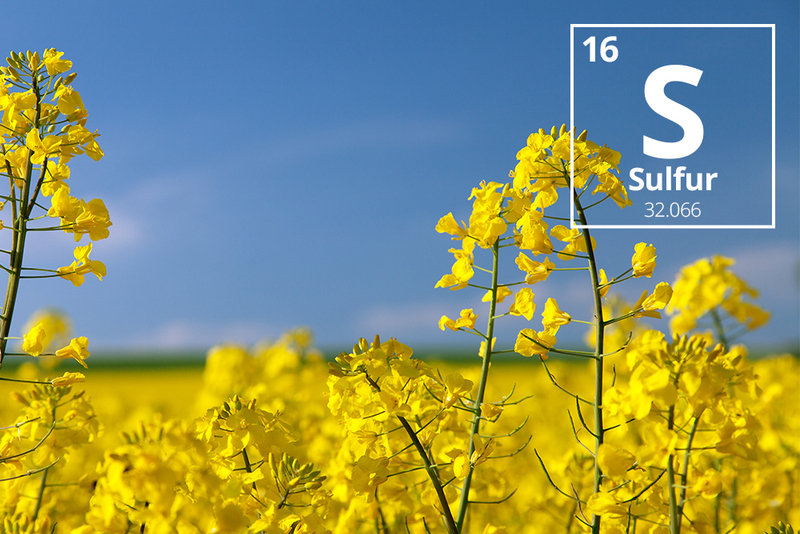 Example: If a grower used 40 pounds of actual P on Canola, 10 pounds of the 40 should come from Crystal Green®. Root-Activated™ Nutrient Technology- Crystal Green® employs a citrate soluble mode of action which means it releases nutrients in response to plant’s organic acid production. This allows Crystal Green® to gradually release nutrients into the soil solution when the roots need it most. Season-Long Plant Availability- Continuous release provides plant-available nutrients all season long while minimizing nutrient tie-up, leaching, and runoff. Consistent, Dependable Release- Crystal Green’s® nutrient release is dependent on plant demand; not on coatings, soil temperatures, microbes, or pH. Significantly reduces the risk of salt injury in Canola. 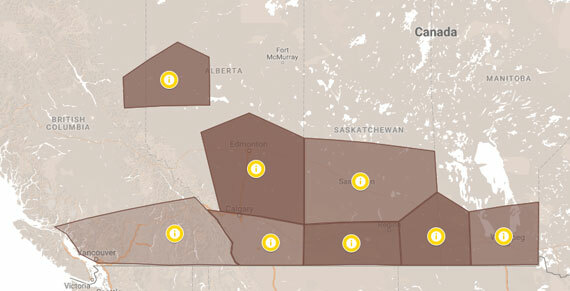 With only one-quarter of the salt index found in MAP fertilizers, Crystal Green® provides the steady supply of phosphorus canola needs to thrive – while significantly reducing risk of seedling injury. 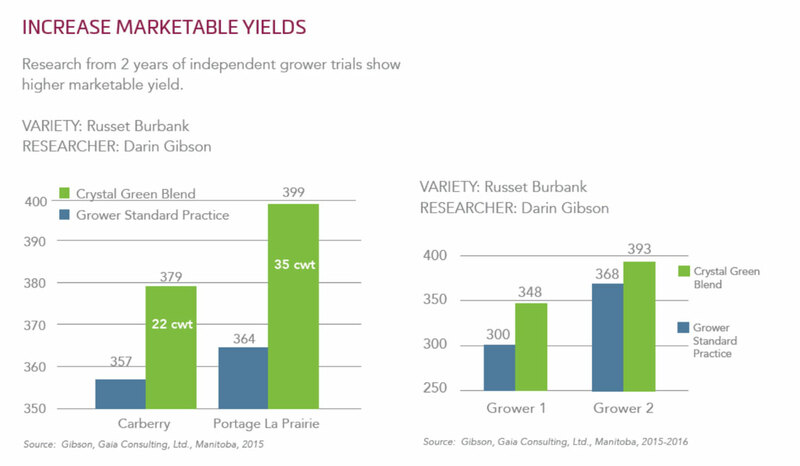 The result is increased stand count and yield. 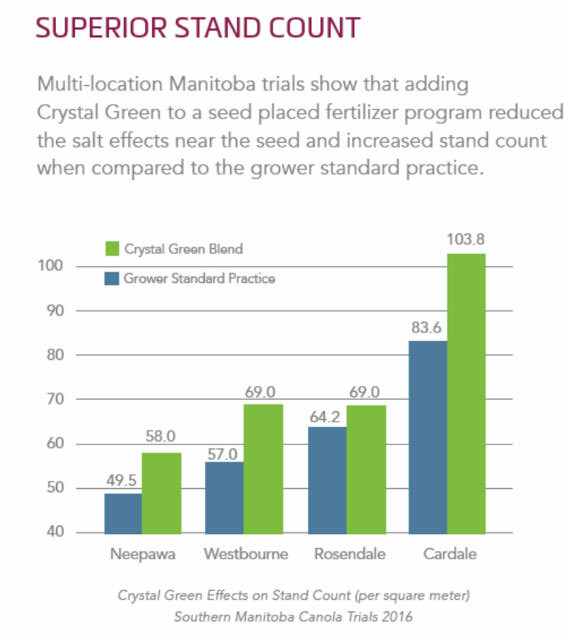 Results from four 2016 Manitoba field trials reveal an average 14.65% higher stand count*/m in fields treated with Crystal Green® compared to Grower Standard Practices. Increasing marketable yield of potatoes in challenging pH soil. 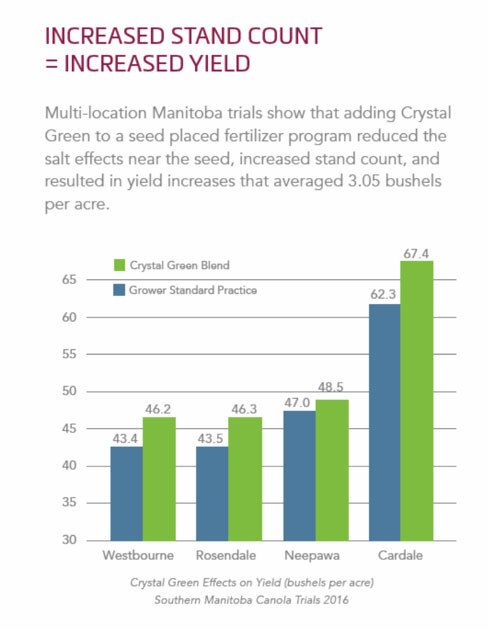 In Canada, Crystal Green® blends have outperformed its potato grower’s standard fertilizer program by 41 cwt/acre on average. Due to its citrate solubility, Crystal Green’s® unique Root Activated™ release delivers phosphorus and magnesium when – and only when – the plant needs it. The Metropolitan Water Reclamation District (MWRD) of Greater Chicago, in partnership with Ostara, launches World’s Largest Nutrient Recovery Facility. OSTARA Nutrient Recovery Technologies sustainably transforms phosphorus and nitrogen recovered from municipal and industrial water treatment facilities into a high-value, eco-friendly fertilizer.